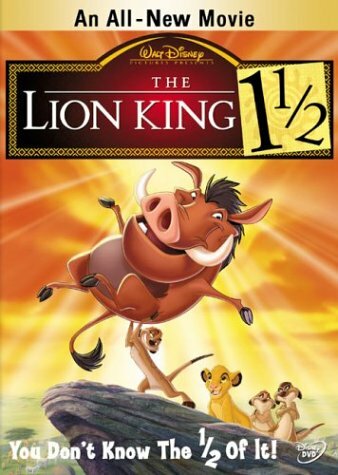 The Lion King 1 1/2 - BUY THIS DVD! In this hysterical update to THE LION KING, Timon, Pumbaa, and the rest of the gang reunite to explain how events really unfolded. Packed with funny, behind-the-scenes stories, Timon and Pumbaa explain what really happened when King Mufasa introduced his heir and the secrets behind other happenings in the story. Nathan Lane and Matthew Broderick, along with the original voice cast, again bring to life some of film's most beloved characters. In addition to the new spin on this timeless story, there's a new song -- "That's All I Need." 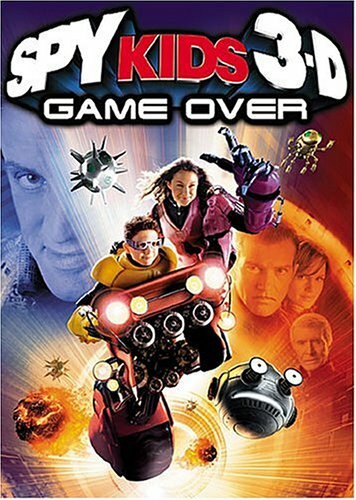 Spy Kids 3-D: Game Over - BUY THIS DVD! HOW TO WIN? SIMPLE. SEND IN YOUR NAME AND ADDRESS TO contests@efilmcritic.com. Put "LION SPIES" in the subject line and cross your fingers. There are five sets for our winners. We will draw names and one of the beautiful packages from Buena Vista will be yours. Only 1 entry per household. 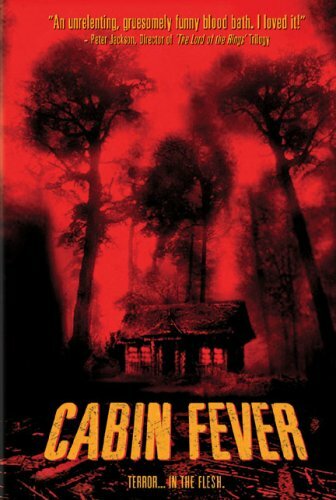 Cabin Fever - BUY THIS DVD! HOW TO WIN? SIMPLE. SEND IN YOUR NAME AND ADDRESS TO contests@efilmcritic.com. Put "YOU GIVE ME FEVER" in the subject line and cross your fingers. There are five sets for our winners. We will draw names and a copy of Cabin Fever from Lions Gate will be yours. Only 1 entry per household. 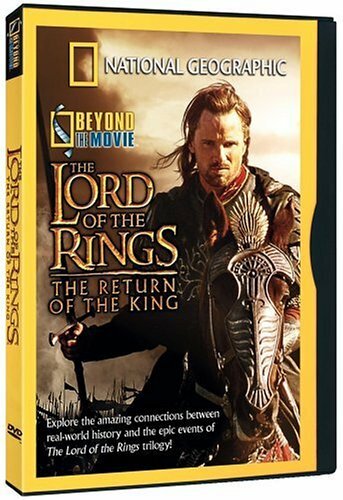 This extraordinary documentary explores the facts behind the fantastical world of THE LORD OF THE RINGS: THE RETURN OF THE KING. Released in tandem with Peter Jackson's epic motion picture, this National Geographic special studies the origins of J.R.R. Tolkien's Middle-earth and how the real world mirrors that magical realm. Using exclusive behind-the-scenes footage, interviews with both the filmmakers and historians, and scenes from the stunning live-action movie, this informative study is fascinating for fans of literature, history, and cinema. HOW TO WIN? SIMPLE. SEND IN YOUR NAME AND ADDRESS TO contests@efilmcritic.com. Put "LOTR" in the subject line and cross your fingers. There will be THREE lucky winners. We will draw names and one of the DVDs will be yours. Only 1 entry per household. ANNIE HALL - BUY THIS DVD! THE APARTMENT - BUY THIS DVD! BENNY & JOON - BUY THIS DVD! FOUR WEDDINGS & A FUNERAL - BUY THIS DVD! MOONSTRUCK - BUY THIS DVD! THE PRINCESS BRIDE - BUY THIS DVD! THE SURE THING - BUY THIS DVD! UNTAMED HEART - BUY THIS DVD! WEST SIDE STORY - BUY THIS DVD! WHEN HARRY MET SALLY - BUY THIS DVD! HOW TO WIN? SIMPLE. SEND IN YOUR NAME AND ADDRESS TO contests@efilmcritic.com. Put "WILL YOU BE MY DVD?" in the subject line and cross your fingers. There is one set for the taking. We will draw names and a set of 10 romantic films from MGM will be yours. Only 1 entry per household. Hellbreeder - BUY THIS DVD! In a small town, terror has gripped the residents. An evil monster has killed and threatened the residents, especially the children, and it is said that the murdered takes the appearance of a clown. One brave woman stands alone to find the killer...before he strikes again. Standing On Fishes - BUY THIS DVD! Caleb (Bradford Tatum) is a young sculptor trying to make ends meet in Los Angeles. When a potentially lucrative, yet artistically bankrupt project comes his way, he sees a way to pay off some debts, as people around him, specifically his no-nonsense girlfriend, all accuse him of selling out his talent. Unshackled - BUY THIS DVD! When the Georgia State Penitentiary was integrated, it was the last prison in American to step into a desegrated world. This story tells of two men's lives who become intertwined in the course of the civil rights movement. Harold Morris (Stacey Keach) is a white sharecropper's son and Marcus "Doc" Odomes (James Black) is a Black man from a tough New York City neighborhood. Following a violent riot, the two men are imprisoned in a small cell together, and the story tells of this encounter. 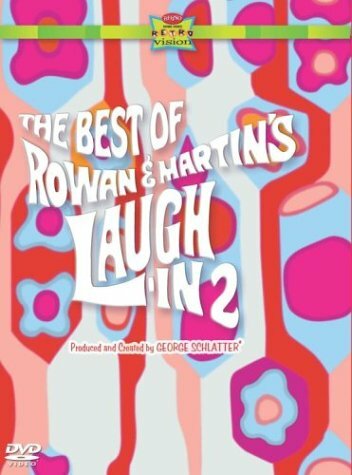 The Best of Rowan & Martin's Laugh-In (Vol. 2) - BUY THIS DVD! A second volume of ROWAN & MARTIN'S LAUGH-IN shows follows hot on the heels of the runaway success of the first boxed set in the series. Six shows are included, spanning the years 1968-1971. Having totally revolutionized the televisual approach to comedy, the constant, almost incessant, laughs keep on rolling in this fast-paced collection of shows. An awesome array of special guests are wheeled out to help with the laugh-fest, including Zsa Zsa Gabor, Goldie Hawn, Lily Tomlin, Johnny Carson, Danny Kaye, and many more. Although very much of its time, these shows easily buck modern comedy trends and remain a timeless wonder that opened the floodgates for similar shows. Show #54 - original airdate: December 15, 1969 - Guest Starring Greer Garson, Lorne Green, Simon & Garfunkle. Show #65 - original airdate: March 9, 1970 - Guest Starring Milton Berle, Buddy Hackett, Mickey Rooney, Edgar Bergen, Jill St. John. Show #16 - original airdate: September 23, 1968 - Guest Starring Herb Albert. 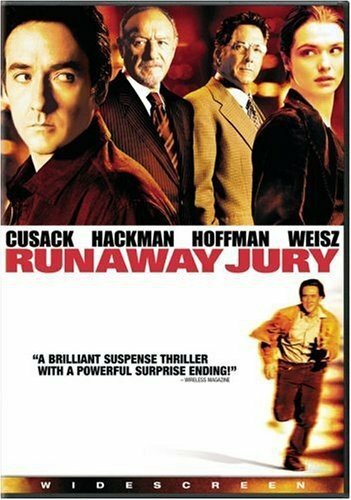 Runaway Jury - BUY THIS DVD! HOW TO WIN? SIMPLE. SEND IN YOUR NAME AND ADDRESS TO contests@efilmcritic.com. Put "BUY THAT JURY!" in the subject line and cross your fingers. There will be 5 lucky winners. We will draw names and one of the DVDs from Fox will be yours. Only 1 entry per household.